Save the Cat has been on my radar for several years; it’s one of those books I kept meaning to read but never got around to, until now. And I wish I’d read it when I first heard about it. This book is packed with goodies for storytellers! But Save the Cat offers more than just insight on storytelling. It’s an inspiring and entertaining read. I constantly found myself wanting to set the book aside so I could go write, but I also wanted to keep turning the pages so I could absorb more techniques and ideas. 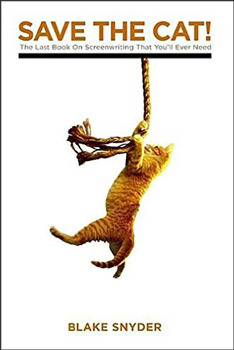 Technically, Save the Cat is a screenwriting book. Along with Syd Field’s Screenplay, it’s a Hollywood staple — not just for screenwriters but also for directors and producers. But Save the Cat goes beyond screenwriting and delves into the art of storytelling. Therefore, most of the concepts in the book are applicable to all kinds of storytellers, including novelists. Warning: Save the Cat is very much about writing screenplays that will sell and doing so efficiently. Therefore, the book takes an approach that is more commercial than artistic, but Snyder leaves plenty of room for artistry. Snyder spends considerable time on planning and preparation, what many of us call preproduction. This is all the work we do before we sit down to write the draft. One of my favorite tips from Save the Cat suggests writing a logline before you write your story. A logline is a summary of your story in one or two sentences, an elevator pitch. It’s supposed to entice people to watch the movie (or read the book, for us novelists). Composing a logline forces you to figure out the core essence of your story before writing it, and this brings it into focus. Writing a polished logline is no small exercise. It must be short, concise, and convey key details about your story, giving people a sense of what it’s about without spoiling the ending. As you work out your logline, you will undoubtedly discover flaws in your story ideas. 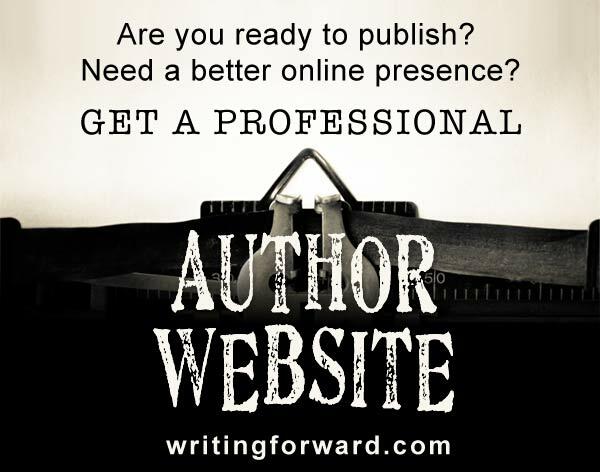 Therefore the practice of writing your logline first allows you to fix those flaws before you spend weeks or months hammering out a full manuscript. But a logline isn’t all you should figure out before you tackle your first draft. Snyder also recommends deciding on a title and coming up with an idea for the movie poster (for us novelists, that would translate to a book cover), and you should also identify its audience. All of this preliminary work is designed to help you crystallize your story before you write it, and this will save you time later, because you’ll need to do fewer revisions. It will also minimize the risk that you’ll end up with a draft that ends up in the trash. Monsters in the House: Jaws, Tremors, Alien, The Exorcist, Fatal Attraction, and Panic Room. Rites of Passage: Every change-of-life story from 10 to Ordinary People to Days of Wine and Roses. Snyder’s beats include fifteen distinct plot points that occur in a story and even specify which pages of a screenplay these points should occur on (page numbers wouldn’t be applicable to novelists). Within these beats, I found several that I thought were useful reminders of good, strong storytelling practices, like starting with a clear and vivid opening image and then using a closing image that is an inverse of that image, emphasizing the change that has occurred (most great stories are about change). Snyder’s beat sheet is very much a formula. Keep in mind that this formula is designed to help screenwriters write screenplays that will sell — it may strike you as a little too formulaic. Storytelling formulas are tricky. Al the great stories do seem to adhere to a clear formula. In movies, we can easily plug films like Star Wars or Titanic into the Hero’s Journey. And as I read through Snyder’s formula, I could see dozens of movies swirling through my head; I believe this formula can serve a screenwriter well. However, many artists think formula writing is a form of selling out, and we’ve certainly all seen utterly predictable movies that were formulaic to the point of being annoying. But since the greatest stories and movies of all time can also be matched to basic story formulas, they obviously work when applied correctly. I think this and other formulas are useful as a kind of checklist for including certain beats and plot points. It would also come in handy as a tool for figuring out what’s wrong with a story or determining what’s missing. I would suggest exploring Snyder’s system and experimenting with it, adapting it to your own needs and working style. Snyder’s section about The Board was one of my favorite parts of the book. I started using a similar method while writing the first novel I published. It involves putting various bits of your story on note cards and putting them on a board (I use a huge magnetic white board). This is by far the funnest part of writing a story because it’s where all the ideas happen. It’s also tactile, because you’re working with paper and pens and using your hands, all of which is creatively stimulating. Snyder goes into some really deep-level instruction here, laying out a system for organizing the cards on the board and insisting that when your board is done, you must have forty cards, each representing one scene. There are four rows (the first is Act One, the second and third are each half of Act Two, the fourth is Act Three). The specificity here is not for novel writing, but the gist of the board is one of my favorite tools for story development. Save the Cat is packed with tips and ideas that will benefit any storyteller. Most of us won’t use it as an instruction manual, but we can use the strategies in the book to improve our own story writing processes. I recommend this book for anyone who wants to master the art of storytelling, for film or the page. Save the Cat is available at fine bookstores everywhere, including Amazon, where you can pick up a Kindle version or a paperback. You know, earlier today I was just “plotting” out the presentation that I am going to give to co-workers in similar fashion. I didn’t use a big board or cards, but I definitely was putting elements on paper and moving them around (well, really just drawing arrows for where they would go in the presentation). I also ended up dropping some less significant topics and details, as if they are characters or side plots that can be cut. I guess this stuff can be used for many kinds of work! That’s true; this can be used for different types of work. I’m glad you mentioned paper, too, because we can use paper instead of a board to map out a story. Thanks for pointing that out, Kelvin! 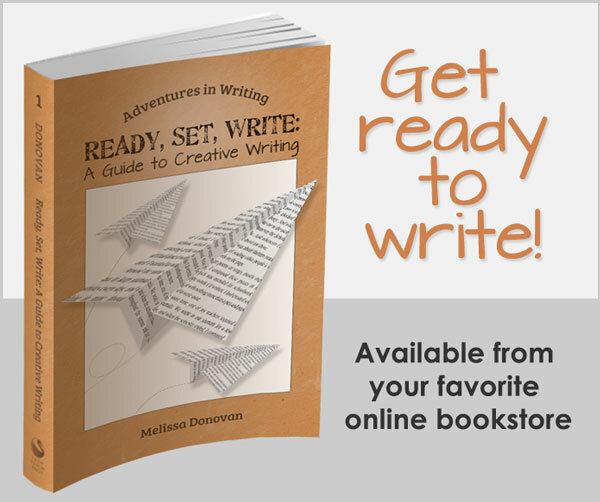 I think nonfiction writers will find some ideas in this book that they can use, but it’s definitely geared more toward fiction writing and especially screenwriting.